Experienced Babysitter/Nanny Available For Work ASAP. 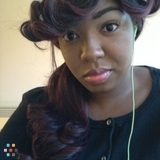 Want to connect with Kemona? I have 8 years experience in this work field. Ages: Newborn-10 years old. Food & Snacks on me, Also trips such as reading and learning at the library, visits to the museum, & playtime at the park are also on me. Im available earlymornings , late nights , and even weekends. Available for work asap. Thank you.